Our approach is based on the following principals. Our consultants are experienced at taking your strategy, formulating a plan and approach, and following through to a successful execution. 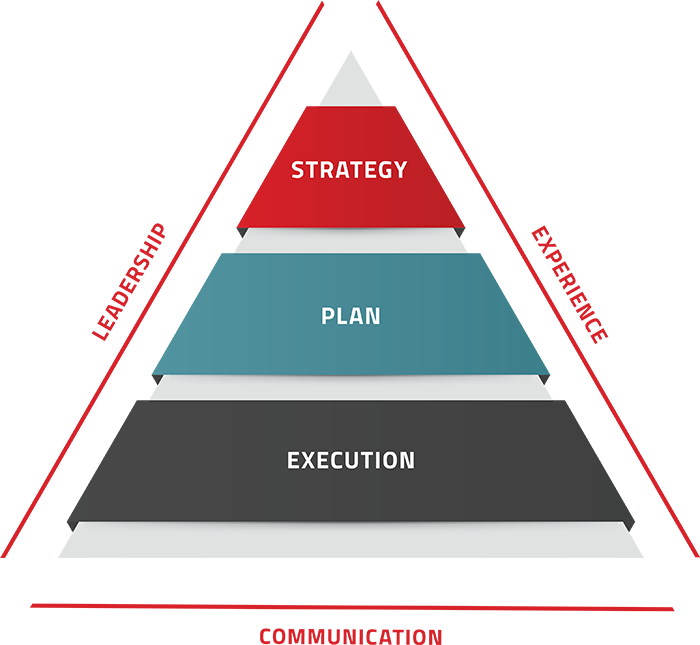 Your business outcomes define your "STRATEGY." Project and program success is driven by exceptional communication, strong leadership and real-world experience. The biggest challenge facing companies today is their ability to find qualified Project and Program Managers who are strong in all these areas and capable of leading projects to success conclusion. Our goal is your project success and satisfaction. At SynerTech, we’ve analyzed the key factors that make projects and programs successful and why they fall short on delivering successful business outcomes.